Here you find an overview of frequently asked questions on a number of topics regarding the CubeSat Shop. If you have a question, which is not answered in the FAQ, please feel free to contact us at info@cubesatshop.com. Are there any products on CubeSatShop for which certain export restrictions apply? Depending on the end-use of certain products, an export restriction might apply. Is there some differences between the PC/104 standard specifications (see above) and the PC/104 CubeSat specifications? Are the products on CubeSatShop fully PC/104 ‘Compliant’? PC/104 “Compliant” refers to “PC/104 form factor” devices that conform to all non-optional aspects of the PC/104 specification, including both mechanical and electrical specifications. Most of the products on CubeSatShop are PC/104 “Bus Compatible”: some specifications may differ slightly from the PC/104 standard specification (such as position of the connector etc. ), but a male or female PC/104 bus connector that meets both the mechanical and electrical specifications related to bus connector is provided. 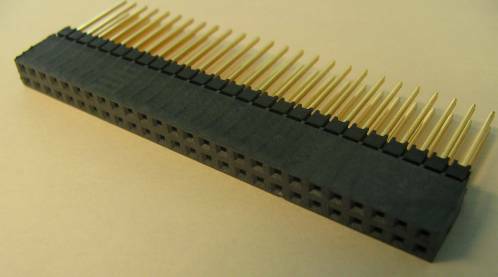 Moreover, there is no real “standard” in terms of the allocation of the pins used. Some differences may occur between different manufacturers and CubeSat products. Are all products on CubeSatShop compatible with each other? Generally the products are compatible with each other. However, some interface issues might be encountered between products from different vendors. Should you have any question on system’s compatibility do not hesitate to contact us. Which companies are selling their products on CubeSatShop? Companies such as ISIS, IQ Wireless, Pumpkin, AAC Microtec, MicroSpace, Maryland Aerospace and Bradford Engineering are selling their products on this website. Furthermore, several new partnerships with other Space Companies are planned in order to offer you a wider range of technologies to fulfill your needs. For more information about our partners, please refer to the Vendor Information part of the website. I want to buy your product. What will be the process following my purchase order? After reception of your purchase order, we will send you an Option Sheet, depending on the product are willing to buy. In this sheet you have to fill in the dedicated options that will match your configuration requirements. E.g: for an antenna system, you would have to precise the required frequencies, if you want an UHF or VHF system, or if you want a monopole or dipole configuration. After reception of this filled in Option Sheet, you will receive from our side an Order Confirmation, which is a summary of your purchase. The day this confirmation is sent will be taken as the lead time reference date. Usually, you will also get, together with the Order Confirmation, an Invoice including our banking information and allowing you to perform your first payment. Delivery depends of the products you want to purchase. An estimation of the lead time is usually given for each product that is available through the CubeSatShop. If not, please contact us at info@cubesatshop.com. A specific lead time is always provided on formal quotations and the definitive lead time is provided upon order confirmation. Who should I contact whether I discover a defect on a product after delivery? Always contact your CubeSatShop.com sales representative, or contact us at the general information address info@cubesatshop.com. Also, do not hesitate to call us in case of an urgent matter. Can I pay with a Credit Card on CubeSatShop.com? It is not possible to pay with a credit card, the only option is to receive an invoice and pay either by wire-transfer or by cheque. Can I pay in multiple payments? Can I pay in foreign currencies? In principle, all payments are to be made in Euros, but some suppliers may invoice in different currency. When the purchase of products and systems is to subject to a formal tender procedure and the tenderer is required to offer a proposal in a local currency that is not the Euro, please contact us and we can discuss the various options. I need more technical information about your products. Where do I get them? For more information about one of the products on the CubeSatShop use the “Add to inquiry list” button from the product page or contact us through the contact form. We will be glad to answer to your questions. What type of connector can I use to interface with the CubeSat Kit Bus? Most projects make use of the available 52 pin SAMTEC connector choices as show in the following table. 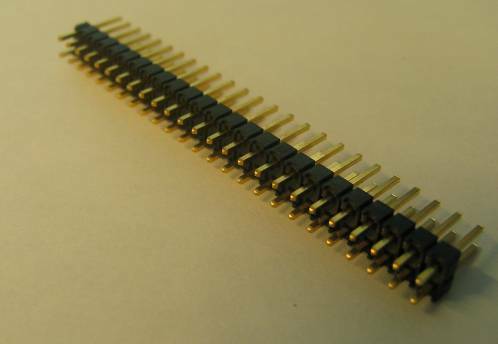 What is the common used Electrical interface used with the CSKB connector? 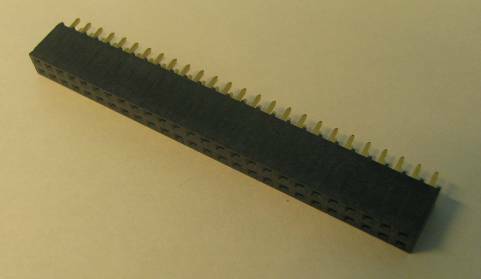 The typical CSKB connector consists of two connectors H1 and H2 which are both from the SAMTEC. Some differences might exist between the pinouts of subsystems from different manufacturers. CubeSat developers must therefore be very careful when choosing subsystems and it is up to them to verify the compatibility of these interfaces. It is the responsibility of each system integrator to check potential conflict between pin allocations. For payload power interfacing the main choices needs to be considered are the supply voltages required for the design and if the design and if the power should be supplied from an always-on line or a line with a serial power switch on the EPS. In this case the payload or subsystem may be powered on or off by sending the corresponding commands to the EPS. 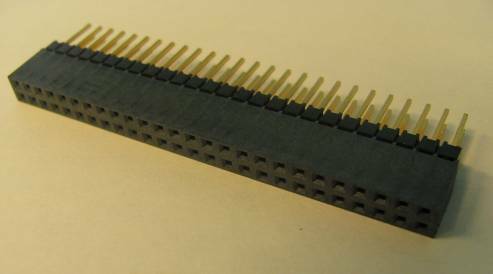 The current rating per pin on the connectors is 3A. What is the lifetime of a CubeSat ? The space systems offered on CubeSatShop are typically designed for a 2-3 years life time in low earth orbit (500-800 km). However for complete CubeSats, many parameters can have an impact on this life duration (such as type of orbit, payload, battery cycling, etc…) and could alter the lifetime of CubeSat subsystems. Several products have been designed for much longer lifetime, either expressed in ‘years in low earth orbit’ or in terms of ‘total radiation dose’, which will be indicated with the appropriate products. Nevertheless, orbital lifetime needs to be addressed carefully and thoroughly on a mission by mission basis. What temperature range is a CubeSat Product designed for? Each product has its own specific operating and non-operating temperature range for which it is designed. This information is available at each of the product pages. If there are any specific questions or issues, feel free to contact us.